Carrie Laben grew up in western New York. She earned her BS at Cornell and later her MFA at the University of Montana. She now lives in Queens, where she spends a lot of time staring at birds. Her work has appeared in such venues as Birding, Clarkesworld, The Dark, Indiana Review, Okey-Panky, and Outlook Springs. In 2017 she won the Shirley Jackson Award in Short Fiction for her story “Postcards from Natalie” and Duke University’s Documentary Essay Prize for the essay “The Wrong Place.” In 2015 she was selected for the Anne LaBastille Memorial Writer’s Residency, in 2018 she was a MacDowell Fellow, and in 2019 she was a resident at Brush Creek. 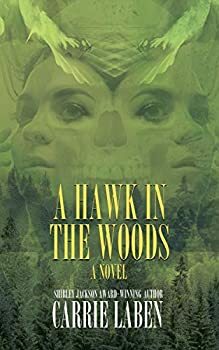 A Hawk in the Woods is her first novel. She is currently at work on a book of essays about urban environmentalism. CLICK HERE FOR MORE STORIES BY CARRIE LABEN.